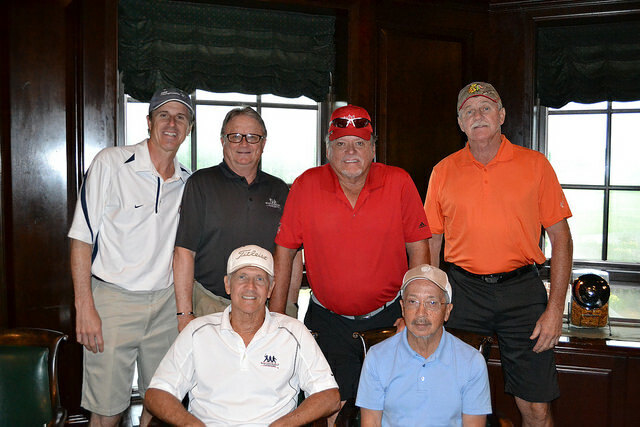 2015 Midwest Golf Celebrity Pro Am celebrated its 25 anniversary raising money for SOILL Far West Suburban/Area 2 on Monday, June 22. Despite the rainy start, 20 foursomes and celebrity captains were able to get in 9 holes of golf at the beautiful Royal Fox Golf Course in St. Charles. Thank you to the celebrities who participated: Eddie Arroyo, Chris Babyar, Jeff Blanzy, Bill Campbell, Buzz Capra, Robin Earl, Carlton Fisk, Ike Hill, Gene Hiser, Steve Kashul, Bill Leagans, Brent Novoselsky, Rich Nye, Donn Pall, Paul Popovich, Jim Schwantz, Eric Soderholm and Al Weis. 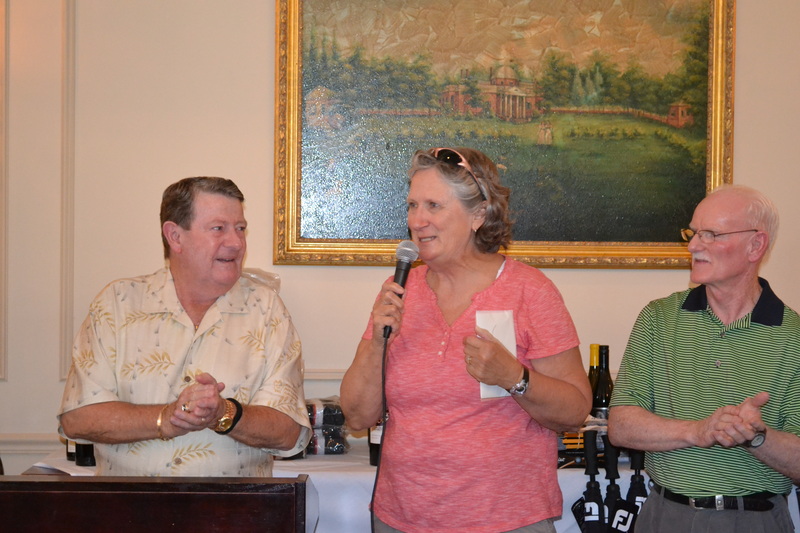 The event raised more than $45,000 for Area 2. This was the 25th year this tournament raised funds for Special Olympics. The 2016 outing is tentatively scheduled for June 20, 2016 at Royal Fox. View photos from event. 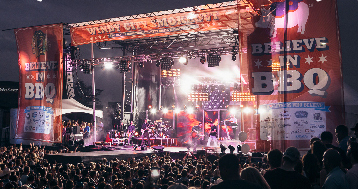 Windy City Smokeout, the foremost BBQ and country music festival in the Midwest, returned to Chicago July 10-12 for the third annual festival. And for the third year, festival organizers reached out to Special Olympics Illinois to share volunteers to help at the festival. More than 35,000 festival attendees enjoyed a weekend of country music stars including Kacey Musgraves, Lee Brice, Chris Young and Chris Stapleton. The weekend-long event included BBQ from some of the best BBQ restaurants in the country including Dinosaur Bar-B-Que from Syracuse, N.Y., Hogapalooza from Little Rock, Ark., and The Salt Lick BBQ from Driftwood, Texas. Hosted by Bub City in Chicago, Special Olympics Illinois demonstrated once again that SOILL volunteers are the BEST! More than 200 volunteers came from throughout the Special Olympics family to help at food and beverage tents throughout the weekend. Festival organizers will donate tips shared throughout the weekend with Special Olympics Illinois (amount unknown at press time) as well as gift cards valued at more than $12,000 to Chicago area Lettuce Entertain You restaurants. The festival is another example of the many ways the Special Olympics “family” shares their time on behalf of the athletes. Special Olympics Illinois is extremely grateful to our invaluable volunteers, Bub City and Lettuce Entertain You. An amazing character trait of Country Music Superstar Jo Dee Messina is just how down-to-earth and genuine she is, even in the limelight of being the first female to have three hit singles from the same album and having sold over 5 million of her records worldwide. Jo Dee’s magnetic personality and caring nature was more than evident as she sat down to meet with the 2015 Special Olympics Illinois Athlete of the Year Brooke Ingram on July 3 before performing at Charleston’s Red, White and Blue Days. 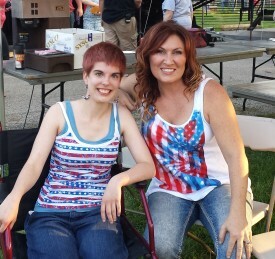 Brooke Ingram meets Jo Dee Messina at Charleston’s Red, White and Blue Days. For Brooke and her family, not sure of what to expect, the encounter was exceptional, as Jo Dee spent more than 20 minutes talking with Brooke. Jo Dee asked Brooke about her Special Olympics experiences, favorite interests and summer plans. Although a little star-struck at times, Brooke happily shared her thoughts and feelings about being honored as the Special Olympics Illinois Athlete of the Year. When asked about how she became involved with Special Olympics, Jo Dee smiled and explained, “I was just driving outside of Nashville one day and saw the Special Olympics event signs along the road, so I started to follow. When I finally came to the event, they needed volunteers for the day, so I got involved.” Jo Dee became an official Special Olympics ambassador in 2004, and has provided support to the Special Olympics athletes, including sending well-wishes to the 2007 World Games Special Olympics Team and pitching in a Team USA Celebrity Softball Game. Jo Dee’s dedication of time and undivided attention to Brooke was another illustration of her ability to make a difference in the lives of others. Thank you, Jo Dee Messina! 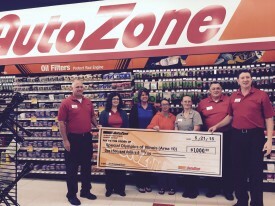 Thanks to Hope Trimmer, SOILL Central/Area 10 has received a $1,000 donation from Auto Zone! Special Olympics athlete Angel Larson, center, accepts Auto Zone donation with her sister, Hope Trimmer, center right, and Central/Area 10 Director Joanie Keys, center left. An Auto Zone employee and sister of a Special Olympics athlete, Hope nominated Central/Area 10 for a donation from Auto Zone’s Central Region. She requested the money be donated to the Area on behalf of her sister, Angel Larson, a long-time participant with the Dream Catchers team of Decatur. Hope currently works at the Clinton Auto Zone store and previously worked at an Auto Zone in Decatur. Area 10 was chosen from several nominees throughout the Central Region to receive the $1,000 donation. Hope, Angel and the management team from the Decatur Auto Zone and St. Louis offices were present for the check presentation. Congratulations to Bill Boys, head coach and SOAD for the Dream Catchers team of Decatur! Boys was awarded the Jennifer Song Spirit Award on July 7. 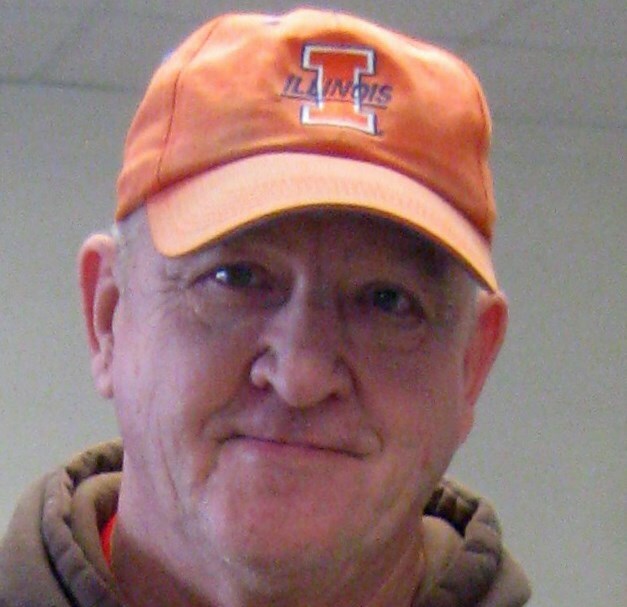 The award is given to a Macon County resident who exhibits enthusiasm, integrity and perseverance beyond the ordinary to help children in the community develop their dreams through selfless giving – be it talent, money or time. Boys was unanimously selected by the award committee, which was extremely impressed by the five letters of recommendation that accompanied the nomination! SOILL Central/Area 10 will receive a $2,000 donation in honor of Boys’ accomplishment. View video of Boys accepting the award. 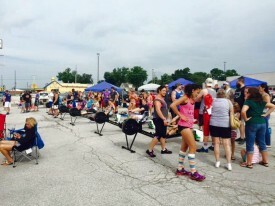 On a hot and muggy Saturday, July 11, teams turned out to the Quincy CVS parking lot for a Row Raiser – a fundraiser where teams of 10 worked on rowing machines to complete a marathon of 26.2 miles and raise money for SOILL West Central/Area 11. Fifteen teams competed in the unique event, with the Quincy Fire Department’s “Team Stop, Drop and Row” finishing in under 2.5 hours. About 300 people attended the event. Awards of engraved wooden oars were given in the following categories: Fastest Team Time, Most Creative Team Name, Most Spirited Team, Compassion Award (for team who traveled the farthest) and Sunken Boat Award (for team who came in last or quit). Two teams of Competitive Crossfitters participated along with Area 11 Special Olympics athletes and family members. Qtown CrossFit owner Sam Dancer invited athletes and families out to gym once a week for a month before the event to teach them how to row. Read story on Dancer’s involvement with Special Olympics athletes. Radio station Y101 broadcast the event live, Hyvee sold BBQ, a DJ provided music, a chiropractor offered services. The local roller derby team, Dark River Derby, skated around and collected change from spectators. Montanna Neisen, 20, was named Miss Quincy 2015 in March and since then she taken the opportunity to make a difference and advocate for Special Olympics. Montanna knows the importance of Special Olympics firsthand – her brother Brady, 16, is an athlete. Montanna and Brady’s involvement with Special Olympics began five years ago when Brady, who has Down syndrome, started competing with Adams County Special Recreation in Quincy. His involvement as a basketball athlete motivated Montanna to do more than cheering for her brother from the stands. Get the latest news from Southern/Area 15 in the July newsletter. Reese Steele’s hard work during his five years of being part of the Auburn Area Special Olympics team has paid off.